European coach operator Lux Express Group added Helsinki airport Vantaa to its route between St. Petersburg and Helsinki. With four daily departures in each direction, it will take seven hours to get to your plane. Lux Express has launched its route from St. Petersburg to Helsinki a few months ago. Buses go from St. Petersburg’s coach station on the 36, Obvodniy Canal to coach station Kammpi in Helsinki. Fare is 690 to 2080 rubles one way, depending on the current demand for the date and time you want to go. During sales and promoting campaigns, the price falls considerably lower than 690 rubles. Tickets can be purchased six months before departure date. Announcement during the trip are made both in Russian and in English. Buses cross the Russian — Finnish border within an hour as regular coach lines. From May 17, 2018 there are four departures in each direction. 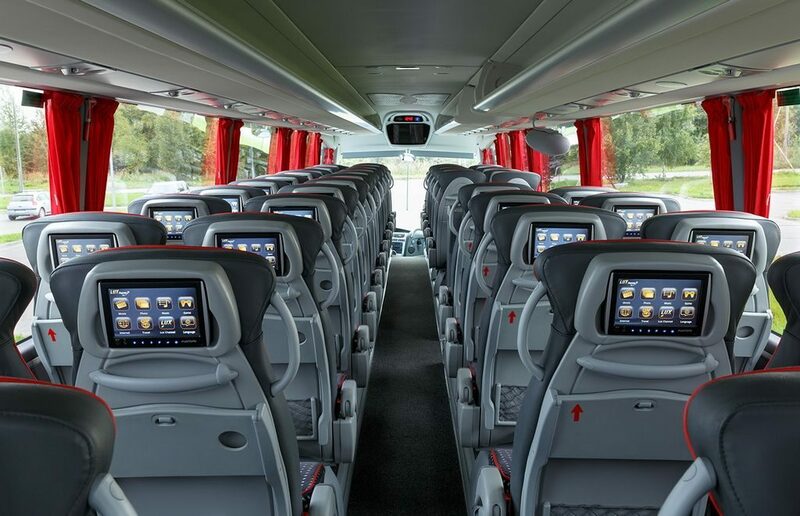 Other ways to get from St. Petersburg to Helsinki except regular coach lines are ferry Princess Anastasia (Moby SPL), Allegro train, Leo Tolstoy train commercial minibuses and by air with the fastest being airlines, the cheapest commercial minibuses and the most comfortable the Allegro and Princess Anastasia.